Adam Charles Voges is a former Australian cricketer born on the 4th of October 1979. He was a right-handed batsman and a slow left arm orthodox bowler. Voges is known for retiring with an average of 61.87, which at that time was second only to Don Bradman. Voges started playing cricket for Western Australia at a very young age. He played for the Under-19 team and in the Sheffield Shield where he performed consistently. He also held the record for the fastest hundred in domestic circuit by scoring it in just 62 balls. Adam Voges made his ODI debut against New Zealand on February 20, 2007. He remained not out on 16 as New Zealand won the match by one wicket. Eight years later, he made a memorable test debut where he scored 130 runs and got the Man of the Match award. However, he did not perform well after his debut and was dropped for quite a few tours. 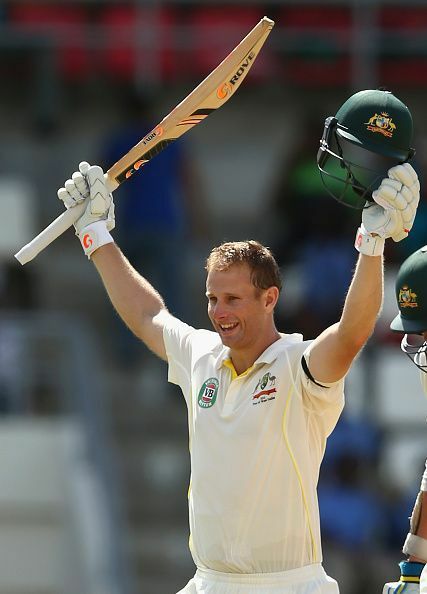 Voges has set the record for most runs between dismissals in the history of Test cricket. He scored 269*, 106* and 239 in three innings against West Indies and New Zealand in the 2015-16 season. Voges ensured that he would get a chance in the Baggy Green by plundering 1358 runs at 104.46 in the Sheffield Shield which including six centuries from 11 matches in the 2014-15 season. This caught the attention of fans in Australia and he hasn’t looked back ever since. Voges played for the Rajasthan Royals in Indian Premier League 2010 but failed to make any significant contributions. He is the captain of the Perth Scorchers and led them to the title in Big Bash League 2014 and 2016. Though Voges was a regular fixture in the squad, he failed to break into the playing XI until the retirement of players like Damien Martyn, Clarke, Rogers and Watson. He was able to play only 20 matches in the Baggy Green as he made his debut only at the age of 35. Voges played his last ODI match on November 2, 2013 for Australia and his last test in November 2016. He announced his retirement on from international cricket in February 2017.